Whatever your design project, Lamar Design works with you on the form, the function, and the finishes. We have the team to handle the entire design process in a seamless and simplified manner. Design Studio 15 is uniquely diverse, with every employee possessing a background of interior design. We offer a wide array of professional services including residential design, real estate staging, model home merchandising, ‘green’ design, construction specifications and remodeling. The cornerstone of our success is our passion for excellence in our designs, business partnerships and customer service. Shanna has worked with many custom home builders in assisting their valued clients with architectural detailing and specifications equaling over 300+ specifications and 19 model homes. Nine model homes receiving Parade of Home awards and thirteen specification homes receiving awards. Design Studio 15 works with their builders as a team to provide a positive atmosphere and service, that make the selection and home building process smooth for the clients as well as efficient for the builders. Before meeting with a client, they will receive an informational packet regarding our selection process and easy to read selection sheets; this is to primarily ensure great communication throughout the design phases. At Design Studio 15, it is the belief that a good designer looks beyond the obvious to create the unexpected and unique. Their design team stays current on the latest trends in pop culture, fashion, music, jewelry and color palettes and incorporates these trends into our designs. The Design Studio 15 staff engages with their clients to make the design process fun and participative, inspiring and creative and, above all, a fully collaborative effort with no surprises. We believe the home is the heart of life. Our homes are as unique as they are stunning. We work with only the best vendors with uncompromising luxury and style to make your house a home. Repeat clients, word-of-mouth referrals, and joint projects with top luxury home builders and architects are a testament to the beautifully detailed interior design services of M2 Interior Design. Andrea Noel Designs is an award winning, boutique design company that specializes in creating luxury interiors that are elegant and practical throughout Florida. The work of a professional can make all the difference. Whether your home has 10 bedrooms, or your apartment is 800 square feet, it can be tricky to create a cohesive look that is representative of your style. That's where a local Union Park interior designer comes in. A home decorator will help distill your tastes and ideas into a design that suits the needs of your space. 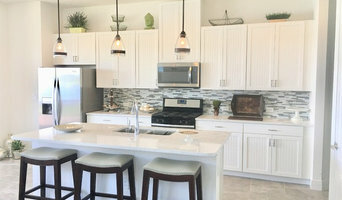 Whether you need help creating a functional space plan, rearranging existing pieces, designing the inside of a new home, or simply sourcing amazing furniture and decor, seeking the help of professional interior designers and decorators in Union Park, FL is a must. A good home design professional will hone your style down to its very essence and be able to choose a functional layout that feels natural to you. Interior design companies can be involved as much or as little as the client desires. 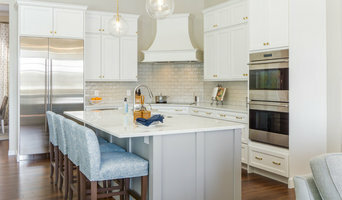 Many clients who hire an interior decorator in Union Park, FL — particularly those who are remodeling — have a good sense of how the room should look and what products they should use. Often clients will insist that interior decorators use the products already present in the house. Other times a designer will need to start from scratch — especially if this is a newly purchased or just-built home. An interior design company will need to figure out exactly what the client needs, which includes organizing rooms, picking flooring and wall colors, and finding furniture to complement it all. Sometimes that means he or she will have to recruit help from other Union Park, FL home professionals to help create the perfect look for your renovation. Here are some related professionals and vendors to complement the work of interior designers & decorators: Architects & Building Designers, General Contractors, Home Builders, Design-Build Firms, Photographers. Do your research before meeting with an interior designer or home decorator in Union Park, FL. Ask yourself what you want your space to become and what it will be used for. Figure out the extent of what you need help with, what your must-haves are and what your budget is. Interior design services can add up fast, so be up front with a potential design firm or individual from the beginning. Also, pick an interior decorator that fits your style. Browse through the portfolios of different Union Park interior design firms and decide if you would live in those houses. Just because you like something doesn’t mean you could live in it. There's a big difference! Find an interior designer or home decorator in Union Park, FL on Houzz. Narrow your search in the Professionals section to find Union Park interior designers near you. You can also look through Union Park, FL photos to find a room you like, then contact the design firm who designed it.